The idea of globalization is currently inescapable, though the term and the theory attached date back only to the 1990s. History helps clarify where globalization comes from, how it relates to broad processes of change, and why it rouses controversy. 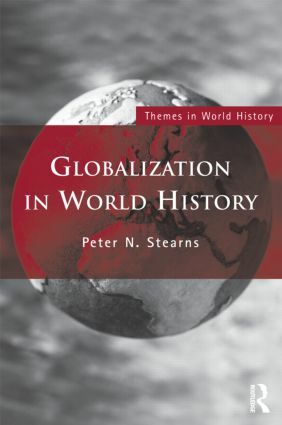 In Globalization in World History, Peter N. Stearns argues that although the term is a relatively new one, the process of globalization has roots much further back in time. He shows how tracing this process of change can also help to define the concept of globalization as we understand it today. The book examines major changes in global interactions from 1000 CE onward, and defines four major turning points that have accelerated the process of globalization. the advantages and disadvantages brought by globalization. The book is a vital contribution to the study of world history, and is a useful companion for students of politics and sociology. 1000 CE as turning point: The birth of globalization? 1500 as turning point: The birth of globalization? The 1850s as turning point: The birth of globalization? Globalization since the 1940s: A new global history?